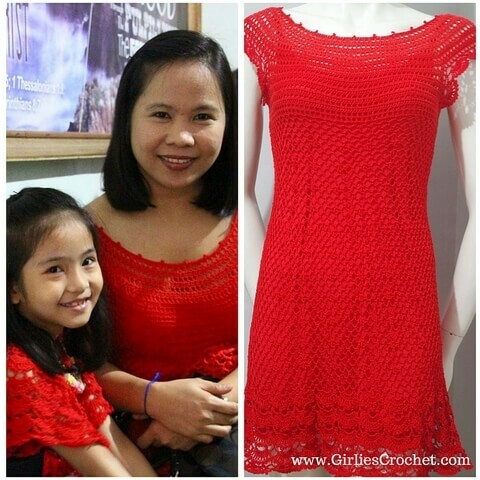 Girlie's Crochet Issue # 011! Today’s feature is a wonderful pattern for all of our little ones who have a penchant for dressing it up or it could be just another addition to our kid's fashion wardrobe. Glenda Scarf and Glenda Wrap . 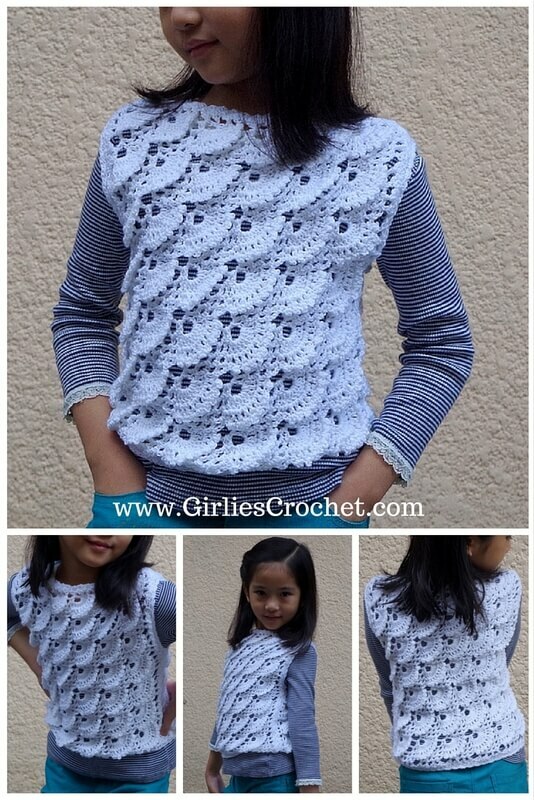 this Glenda Vest was created specifically for my daughter. She loves her new vest and in these photos, they sure paint more than a thousand words. This past Holiday season, I designed my holiday dress with a desire to use a specific group of stitches. As I was creating the pattern, another design popped into my sometimes cluttered mind and a pullover was added to the series. These two patterns are still on the drawing board and testing process. This will be called the Gina series. This Gina series will include several designs and patterns for exciting clothing and wearable add-ons. 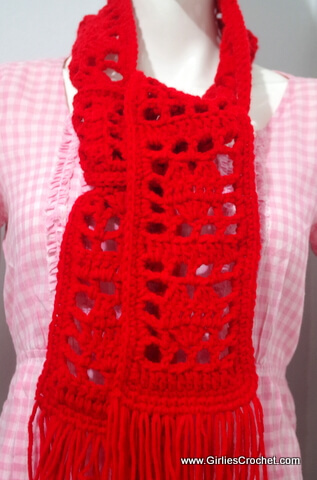 Don't forget to visit www.GirliesCrochet.com and subscribe to our newsletter to keep updated on upcoming designs and projects.